Havana, Las Terrazas, Vinales, Puerto Esperanza, Pinar del Rio, Soroa, and more! 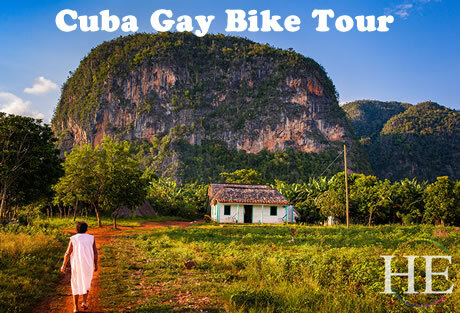 Join us for our new Cuba Bike West tour and experience for yourself why Cuba is not solely breathtaking, but legendary. 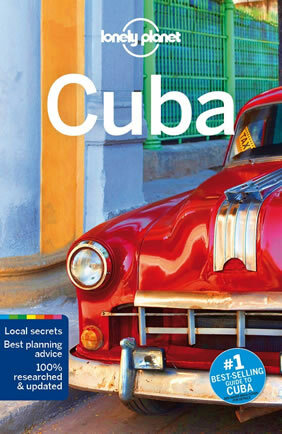 Journey through spirited Havana and its streets paved in revolution. Cycle amongst fields of spring green tobacco plants where rustling leaves create harmony with the haunting sounds of vagueros. Stand outside of caves whose eroded faces tell tales of previous indigenous tenants hiding from invaders. 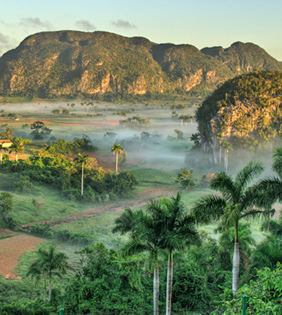 See towering walls of limestone in Valle de Viñales. Peddle down beaches of white sand, past crumbling yet luxurious buildings, and through deep, verdant biospheres on a trip that may leave you speechless just as easily as it turns you into a storyteller. Day 1 - Bienvenidos a Cuba! 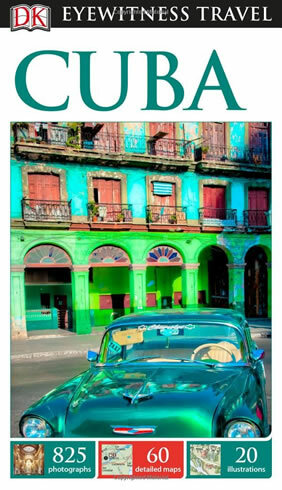 Most US flights arrive in Havana by midmorning, giving us time to check in and then make our way to lunch! 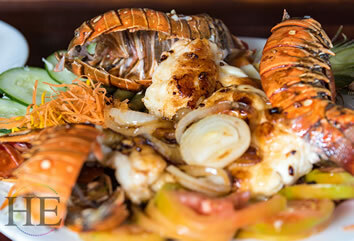 We’ll get to know each other over lunch at a privately owned restaurant (paladar), where we dive into Cuban culture by tasting its Caribbean cuisine. Then we take on the city with a walking tour. Habana Vieja (Colonial/Old Havana) has a flourishing downtown where a tumultuous history is present in every colonial plaza and the bustling streets provide a vision of Cuba’s future. Unlike many other colonial city-centers across the island that have been lolled into a slumbering past, Habana Vieja seems to appear very much living in its present. After as day full of exploring Havana Vieja’s many sights, we head to another local paladar to sit down for dinner. Tonight we can hit the town and dive into Havana’s music scene. We wake early and drive out of the urban sprawl toward San Antonio de Los Baños. The city is known to Cubans as the capital of humor due to its film school founded in part by famous novelist Gabriel García Márquez and the idiosyncratic humor museum. Our tranquil Cuba cycling excursion takes us southwest past Vereda, Caimito, Guayabal and Cayajabos. The path is fairly smooth as we travel past the citrus plantations. We’ll stop to sample some of this region’s famous crop. Learn about Cuba’s agriculture, the people who manage these resources and the role of cooperatives in the market in the economy. Our trail concludes in Las Terrazas, a UNESCO protected biosphere that was created originally as part of Castro’s 1968 reforestation proposal. What had been an over-logged area since the enterprising days of Spanish conquistadors and coffee plantations, the region is now a verdant paradise for over 117 bird species. We’ll stretch our legs and stroll around the thriving pastures. If time permits, we may visit a local artist workshop where we learn about how artistic passions blend with politics of the environment within the small community. Later, we head to our accommodations for the night. Before turning in, enjoy the sultry evening air as well as a delectable dinner. 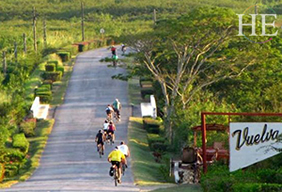 Today we peddle down rough, winding and smooth roads through some of Cuba’s lushest landscapes. It’s an exciting ride with a new adventure at every turn! We make our way early and cycle through La Sierra del Rosario Biosphere Reserve, down stretches of grasslands and forests and through beckoning royal palm trees and curved hills. Keep an eye open for some incredible rock formations jutting from the earth. Our meandering path takes us to Bahía Honda, where we stop for a bite of lunch, and takes us through several beautiful towns such as Cabañas, Palma Rubia, and La Palma as we head to Viñales. We pause for a moment at La Palma, where we are picked up and brought to Viñales, a region surrounded by the pine-covered, misty hills of the Sierra de los Órganos. Valley de Viñales has a magical appearance with its stocky limestone mogotes abruptly appearing from flat plains and labyrinths of caves secretly tucked away in cragged overhangs. We’ll have drinks and dinner together tonight before returning to our casas particulares, private homes where we’ll be welcomed guests. We rise and enjoy a hearty breakfast before jumping onto our bikes to explore more of the sprawling karst landscape. As we make our way toward the northern coast and Puerto Esperanza, we pedal serenely through plantations with swathes of bright green tobacco leaves and through rural villages. We land in the Puerto Esperanza around lunchtime, a fishing village that serves as a primary port for Viñales. Expansive mango trees said to have been planted in the 1800s surround the entry road to town. We grab lunch before getting picked up and transferred back inland to our Viñales lodgings. After we’ve arrived back in the valley with the afternoon ahead of us, we have the opportunity to visit a nearby organic farm to meet or walk one of the many trails. The unique landscape may surprise us, when we come upon vertical rising walls of mogotes, obscure river systems or pitted faces of the cavern. Later, we enjoy another dinner prepared with Cuban authenticity and fresh ingredients before turning in for the night. Let’s head out to Puente de Cabezas, a rural town surrounded by rows of undulating green fields. Our cycle today takes us down the San Carlos Valley, a ride with incredible views. Limestone bluffs blanketed in foliage look over remote huts and rusty tobacco fields. Birds call to one another and palm fringes rustle in the wind. With the smooth road unwinding before you, we can soak in the bucolic scenery as we pedal along. Our ride leads us to Cuba’s tobacco mecca San Juan y Martínez, where some of the country’s finest tobacco leaves are produced by the abundant rainfall. We’ll visit the Alejandro Robaina Tobacco Planation. Though the fields (known as vegas) have been producing quality tobacco since 1845, it took until the 1990s for the Vegas Robaina cigars to launch to international acclaim. Explore the grounds and gain insight into the process of cigar production from sprouting plant to fragrantly wrapped and rolled treat. From here, we get back on our bikes and ride northeast to Pinar del Río. The city lives up to its name as pines litter its river banks. Though the city has a bit of a reputation for its wealth of jinteros, it’s energy and abundance of well-maintained neoclassical architecture is more than intriguing. We’ll have time to check into the hotel and freshen up before regrouping for dinner at a local restaurant. We continue northeast for our journey through rural Cuba as biking takes us along the La Carretera Central highway passing through Herradura, Capilla, and Paseo Real de San Diego until we end in Fierro. En route, we enjoy a picnic at a scenic spot. 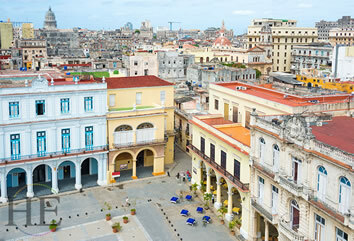 This afternoon takes us back to Havana for dinner together and plenty to explore tonight in the vibrant city. This morning we’ll drive a short distance to Jaimanitas, stepping into a fantasy world created by artist José Rodriguez Fuster. The streets of the formerly average town were taken by Fuster and shaped into a widespread art exhibition where Picasso would have felt at home. We stroll through Fusterlandia and witness the incredible world where benches, roofs, doorways and city blocks become expressions of the artist and his iconic Cuban images. We’ll also make a midday visit to the Museo de Ernesto Hemingway located in his former home at Finca Vigía. Gain insight on the life and mind of Cuba’s favorite literary expatriate by exploring the restored facilities. Then, a seaside visit to Cojimar for lunch together. 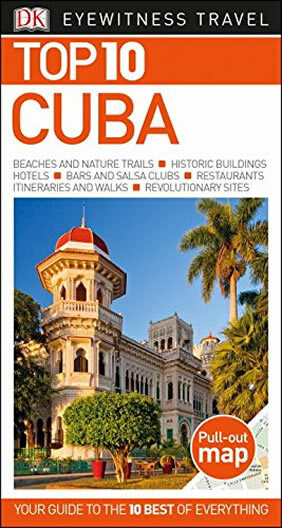 This afternoon we’ll have time to explore more of old Havana on foot, walking along the famed Malecon. As night falls we explore the city as Cubans do—in classic cars that haven’t misplaced their 1950s glamour. We finish our day together with a final dinner of Cuban classics and authentic dishes with a Havana flair. Enjoy the salsa-filled nightlife of Havana before returning to the hotel to rest up for tomorrow’s flight! Day 8 - Adios Havana! We rise early and enjoy a final Cuban breakfast before heading to the airport for our flights toward home. • All activities, entrance fees, and transportation as described. 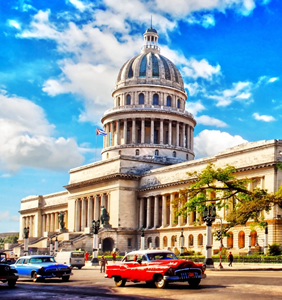 • This tour may include complimentary Cuban Medical Insurance, pending requirements as regulations evolve. • Gratuities for Local Cycling guide(s) and HE Travel host. This tour starts and ends in Havana, Cuba. The terrain on this trip is varied and colorful. Topography ranges from flat to rolling to strenuous. To fully enjoy this trip, you should be able to comfortably bike 35-75 miles over rolling countryside. 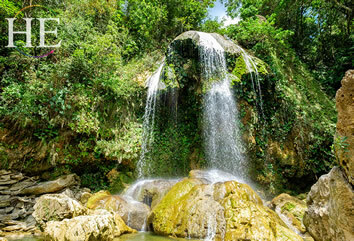 Cuba has a tropical climate, which may mean more humidity than we’re used to, including warm rains or breezy days. Some restaurants and local sites will not have air-conditioning. Most of our trips draw more single travelers than couples. 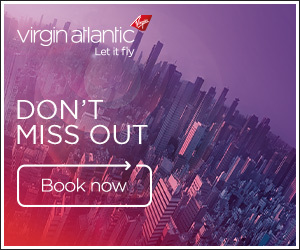 When couples do join us, it’s usually because they’re looking forward to interacting with a gay group; if they wanted a holiday by themselves, they wouldn’t have signed up to travel with us. Furthermore, the activities included with our trips serve as natural ice-breakers. Within a day, you’ll be traveling with friends. You don’t need to pay the single supplement if you’re traveling alone. We’ll be happy to match you with a roommate. Pay the single supplement only if you want to guarantee a bedroom to yourself. We stay in a mix of nicer hotels and casas particulares in Cuba. Casas particulares are the Cuban version of a Bed & Breakfast, with rooms for rent in private homes. In some locations this feels like a boutique hotel. In others it is even more intimate; for example, a private home with 2-4 rooms for rent where our guests get a very memorable, personal, and authentic experience interacting with and conversing with a Cuban family. In all cases, we search out the best casas and will return to them repeatedly on our tours. So the casa owners and families know us and our guides, it enhances the people-to-people trip experience for our guests. What kind of bicycles will we ride? The bike model we’ll be using in Cuba is the Trek FX S4. This bike comes with standard pedals with an optional strap to use as toe cage. Guests may bring their own pedals if they prefer, and our guides/mechanics can switch them out. We will be providing helmets.